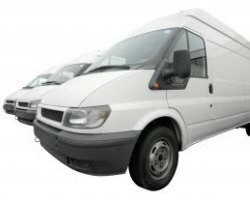 Whether you are looking for a courier van policy on a comprehensive basis or with just third party cover, we have insurers who want your business. Finding competitively priced policies can be a challenge especially if you approach companies who don't specialise in covering couriers. So going through a panel of specialist partners gets your request in front of the right companies fast. All of the insurers are delighted to be able to cover courier vans. So ask for a quotation below and the panel will be on the case as fast as your speediest delivery! With the growth in internet shopping, there has been a similar explosion in the need for Courier Van drivers, all who need appropriate insurance. Delivery firms work on tight margins though, and to demanding time-scales and therefore getting the right courier van insurance is critical if you are going to not only find cover that meets your needs fully, but at a price that keeps you competitive. Packaging in goods in transit and liability cover with your policy rather than buying a separate policy. Declaring if you are a Trade Body member, as our panel can often access specialist discounts. Courier Van Insurance through MoneyMaxim - a great way to find fantastic cover.